The increased adoption of mobile devices in enterprises has aggravated cost savings and productivity gains. However, these devices have generated an array of new concerns in terms of security, for business and IT executives. With a focus to ease the implementation of Enterprise Mobility Management (EMM) in organizations, Trigcom delivers solution and services for managing smartphones, tablets, and laptops. 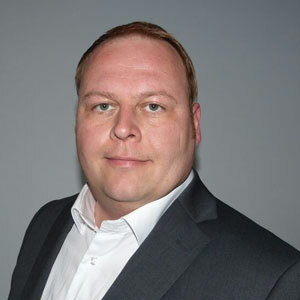 “At Trigcom, we ensure security and productivity benefits in terms of enterprise mobility management for organizations without having to spend many valuable internal resources,” says Hans Petter Brynildsen, Technology Director and CTO, Trigcom. The company offloads tasks from organizations by taking a lead role in the implementation of the mobility solutions, their enrollment process and offers ongoing daily support to users. Trigcom believes that true EMM is more than Mobile Device Management (MDM). “For us, it is about App Distribution, Security and Management; Sharing and Securing Content on smartphones and tablets; fast deployment and easy management so end-users can spend time getting down to business,” says Brynildsen. Trigcom’s flagship product, World Wide Mobile Management (WWMM) is a portfolio of services for EMM that takes care of tools, implementation process, operations, support and guidance. “In our portfolio, we have a vast set of module-based different services that let us implement a custom-tailored setup, matching individual customer’s needs,” says Brynildsen. WWMM assists our customer orgnization through the whole process of implementing EMM through to the ongoing operations. “We have streamlined the implementation process for new customers, so that both IT and end-users spends a minimum of time getting enrolled in our EMM,” he adds. The company achieves this through its own implementation project methodology where each customer has a dedicated contact person who will serve as the single point of contact throughout the implementation process. “We offer all our services without any contract time and the customers pay per month, based on the numbers of active devices they currently have,” asserts Brynildsen. Trigcom’s EMM portfolio gives organization a tailored service that suits their specific needs. “This gives the greatest of flexibility for our customers as they are free to change their service setup on a monthly basis,” he adds. Since there is no contract time on these services, the customer may adjust their service setup from month to month and therefore support their forthcoming needs as well. Through the WWMM service portfolio, Trigcom adds unique propositions to the market. Since its conception, Trigcom has been delivering best-of-the-breed technology solution to its clients. For instance, Motek AS, a market leading trading company was looking to leverage enterprise mobility and maximize their investment in SuperOffice, a CRM software to boost sales. The company launched a project to integrate SuperOffice with mobile voice, text and email,secure and manage mobile devices with an MDM tool. IT evaluated different MDM solutions to see if they met the requirements from Motek. After deciding to shift into Trigcom WWMM, Motek seamlessly moved to production as no redeployment was necessary. User devices were enrolled in less than two minutes. As part of the WWMM service, Trigcom did the enrollment of employees devices with a defined security and management policy. This increased the mobility and productivity with SuperOffice CRM and the sales team of Motek could use a single phone for everything they need to connect with the customer and close deals—anytime and anywhere. Moving forward, Trigcom plans to improve and add new features to its services. “Our next big addition to our portfolio is securing voice and message services. We will implement this as an optional module to our existing service portfolio,” concludes Brynildsen. Provides solution products and services for the management and support of mobile phones and tablets.